Late last year, Chelan Fresh introduced the SugarBee, a new open cross-pollination apple variety (Honeycrisp and unknown parent). The new bi-colored apple is crisp, juicy and sweet. “We’re very excited about it,” said Tim Evans, General Sales Manager. 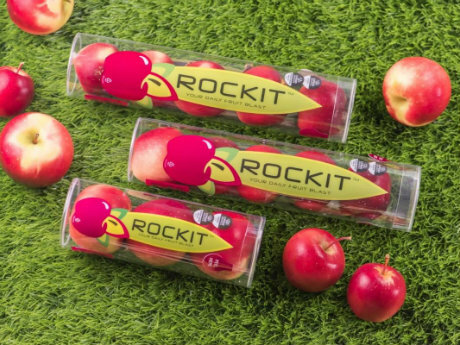 The apple was celebrated with a small launch last fall and as it grows in production in the next few years it will be rolled out on a larger scale with an expected commercial volume in about three to four years. “We’ve tested this (variety) for many years and year after year it’s gotten very positive feedback so we’ve decided to go into commercial planting,” he said. 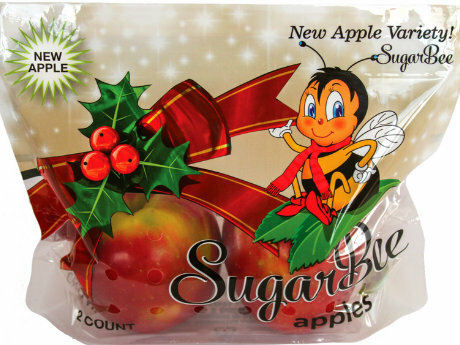 “It’s a propriety variety for the Chelan Fresh Growing Group.” The SugarBee is placed in the medium – large-sized fruit category. The company also packs all the core varieties: Red Delicious, Granny Smith, Fuji, Gala, Pink Lady, and Honeycrisp.